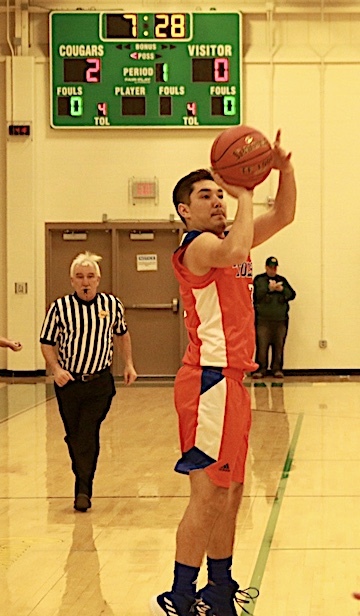 FORT GAY, W. VA. — Jacob Mollette and Jesse Muncy combined for 50 points and 10 three pointers as Tolsia thrashed Sherman 102-45 on Friday as the Rebels improved to 4-0 in Region 4 Section 2 play Friday night at Rebel Arena. Tolsia jumped all over the Tide from the get go as 12 different Rebels dented the score book. Jacob Mollette scored 50 points and hit 11 three pointers over the weekend. 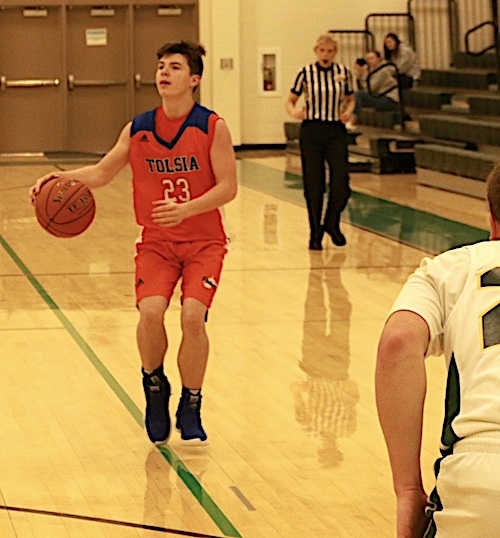 Tolsia raced out to a 28-10 lead as Mollette and Muncy hit 6 three pointers and scored 14 and 12 points respectively. In the second quarter the Rebels held the Tide to 4 points to lead 54-14 at the break. In the second half all 14 Rebels that dressed played and Senior William Spaulding hit 2 free throws to break the century mark. Jacob Mollette hit 6 three pointers for 28 points, Jesse Muncy hit 4 three pointers for 22 points, Zack Ball tallied 13 points, Braxton Williams and Spaulding had 8 points each, Austin Salmons 7 points, Tyler Johnson, Gavin Meadows and Steven Ward had 4 points each, Rob Cantrell and Trey Brumfield chipped in with 2 points apiece. Tolsia hit 13 three pointers and went 5-8 from the line. Baker, W. Va. — Tolsia ( 9-2 ) made the 5 hour road trip a successful one with a 30 point lopsided victory in Pool Play of the West Virginia Hometown Invitational Tournament Saturday afternoon. The Rebels led 39-24 at halftime before breaking the game wide open with a 25-9 outburst in the third period to take a commanding lead and coast to victory. Jesse Muncy also scored 50 points to go with 8 three pointers in two wins over the weekend. Jesse Muncy and Jacob Mollette combined for 50 points in the second straight game as Mollette hit 5 three pointers and Muncy 4 three pointers, Austin Salmons tallied 13 points, Tyler Johnson 8 points, Zack Ball 5 points, Rob Cantrell 3 points, William Spaulding, Braxton Williams and Zane Sturgill had 2 points each. Tolsia hit 9 three pointers and went 21-29 from the charity stripe. 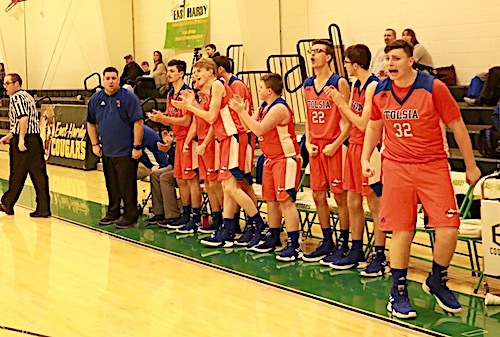 Tolsia will play four games the next week beginning Tuesday with a trip to Johnson Central, on Friday they host Buffalo for the last Pool play game in the WV HIT and Saturday at Lawrence Co. before going to Tug Valley January 29th.